Nike+ GPS app released to app store, hopefully this finds its way into the built in version soon | When Will Apple? 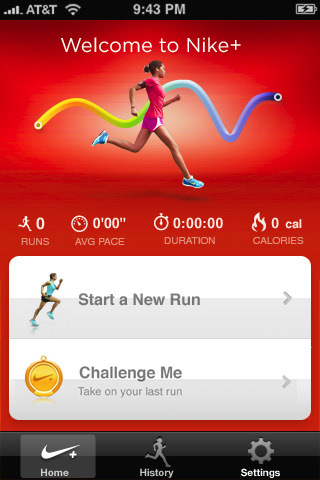 Nike has just released a new iPhone app, Nike+ GPS (iTunes – $1.99). Unlike the built in version (which Apple develops), it doesn’t require any special equipment. Like many apps already on the app store, it uses the GPS and accelerometer to track your speed and route. The app also works with the Nike+ website for tracking all your runs. The release of this app comes shortly after Adidas released miCoach (iTunes – Free). miCoach works similar to Nike+ GPS app and has the full website integration for keeping track of all your stats. I’d love to see GPS tracking added to the built in app along with heart rate monitor support.